Braselton, Ga. (15 October 2018) – Rebel Rock Racing saw its day cut short at Road Atlanta this weekend after the No. 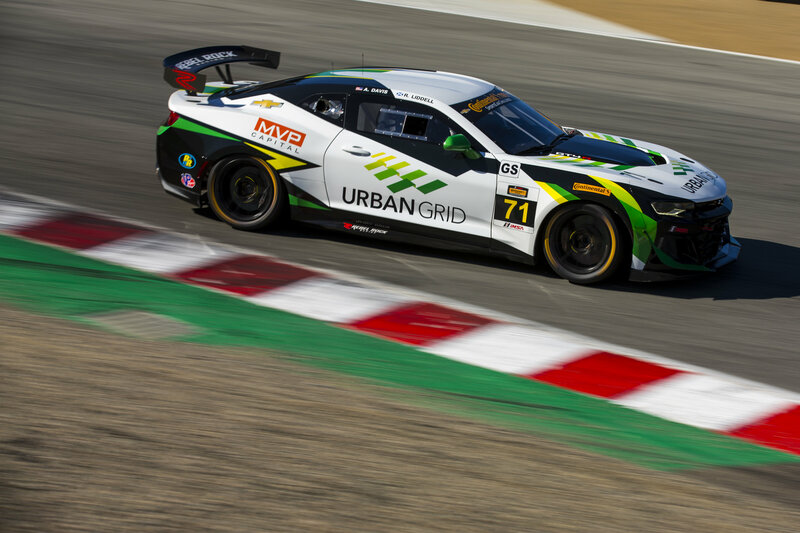 #71 Rebel Rock Racing/Urban Grid Solar/MVP Capital Camaro GT4.R was caught up in several incidents not of its making during the IMSA Continental Tire SportsCar Challenge (CTSC) Fox Factory 120 on Friday. The team, which returned to IMSA action at VIR under the direction of new team owner Frank DePew and scored a podium finish in its debut, had the Chevrolet Camaro GT4.R ready for two hours of intense CTSCC action. IMSA veteran pilots Robin Liddell and Andrew Davis shared the driving duties, having earned significant success competing in multiple generations of Camaros (GT.R, Z/28.R and GT4.R) together. The race held special meaning for Davis, who hails from nearby Athens, Ga. Davis qualified the car in eighth position in the Grand Sport (GS) class and took the green flag to start the race. Davis quickly realized that he had a good race car, and steadily worked his way up through the field in the early going, taking advantage of mistakes by the leaders and making strategic passes. Up to third by Lap 23, Davis ran afoul of the spinning No. 82 BMW, who did not see the Camaro and hit it hard directly in front of the right rear wheel which bent the suspension. Nursing the wounded car, now requiring 90 degrees of steering input to go straight, David headed to pit lane on Lap 27 so the team could take a look at the damage and make the change to Liddell. Returning to the fray in 15th position after pitting in 3rd, due to the extended pit stop, and looking to make up lost ground the race instead only offered new setbacks as Liddell was tagged in two separate incidents. On Lap 54, he headed into the pit lane with a smoking left front tire after getting spun out in the chicane, and the decision was made to retire. But for the new team, there were plenty of positives to take from its debut races. 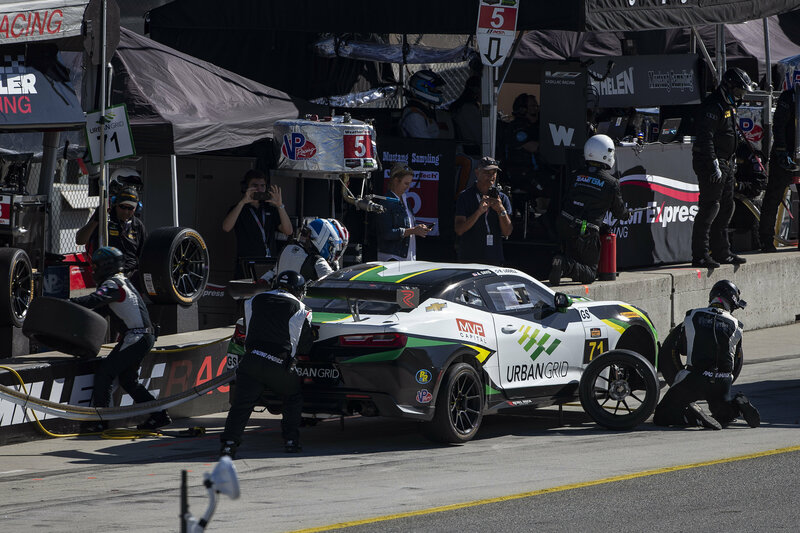 The race marked the final IMSA Continental Tire SportsCar Challenge event of the 2018 season, as the series will return in 2019 as the Michelin Pilot Challenge. A Michelin test will be held at Road Atlanta on Monday as teams will get their first look at the new tire configuration.